Last month the Royal Alberta Museum opened it’s much anticipated Western Threads exhibit in their feature gallery. 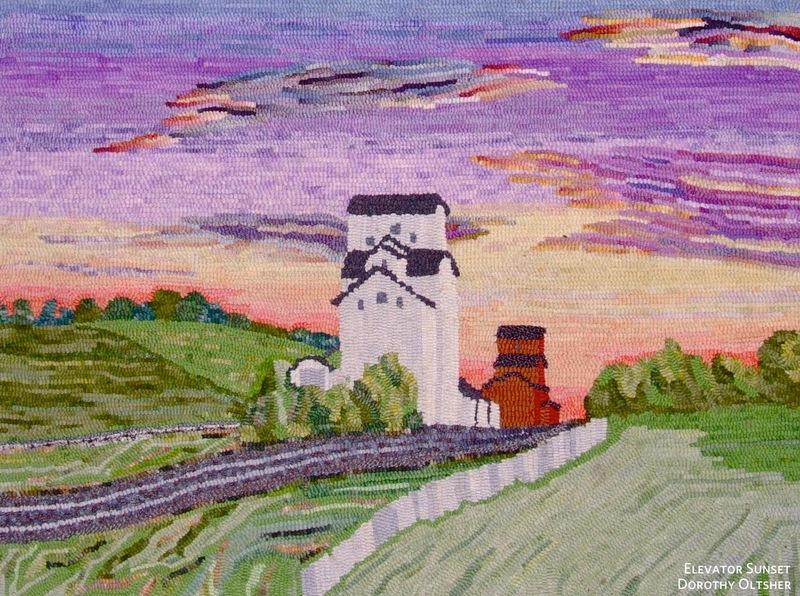 Western Threads celebrates the history of fibre art in the western provinces. 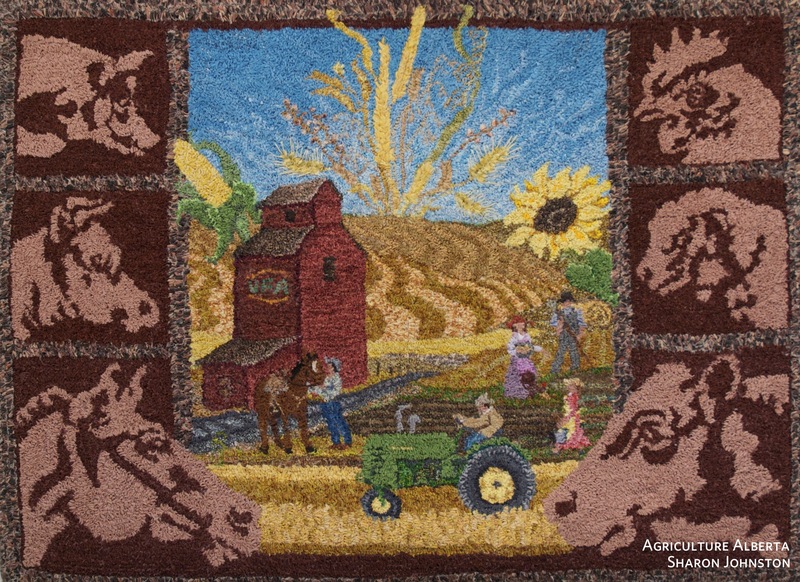 The exhibit showcases the Heritage Rug Hookers of Saskatoon, Studio Art Quilt Associates (Western Canadian Branch), and a retrospective of the Focus on Fibre Arts Association’s biennial exhibitions. It occurred to me when I was dropping my piece off for the show, the majority of this work would most likely never be shown together through normal channels. 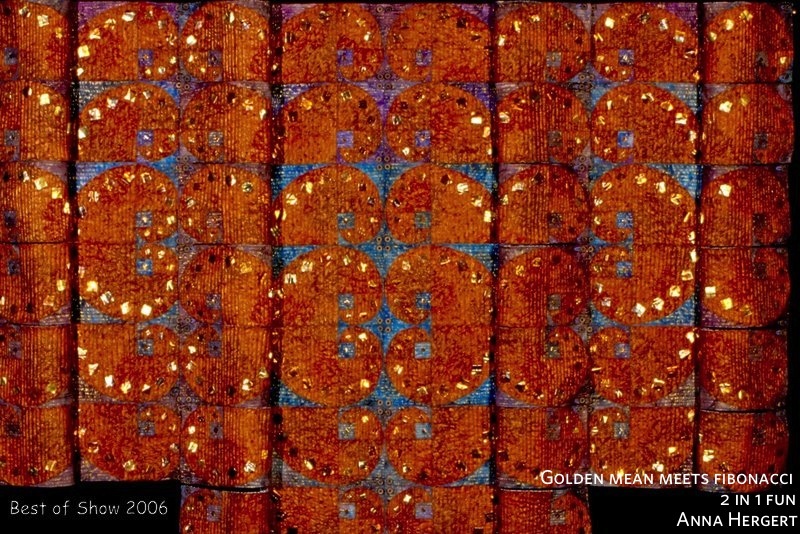 This show was mixing work from artists at different points in their careers and development, as well as, bringing together technique specific communities. It was going to be a coalescence unique to a museum setting and it filled me with curiosity and excitement. The excitement really started a few days before the opening with a yarn bombing at the museum grounds. There was a great vibe to the event with museum staff, artists,friends and family all chipping in. It was a pop up fibre community that perfectly reflected the spirit of the exhibit. Featured artists gathered the following day for an exhibit preview where we heard remarks from the executive director as he showed off his new fibre lingo (apparently, embroidery floss and yarn bombing are not in everyone’s lexicon! ), as well as, a speaker from each of the three organizations represented in the show. Listening to the presentation I felt a great sense of pride to be part of this event and the larger fibre art community. The Western Threads exhibit is a feast for the eyes and one I will see a few times to fully absorb. 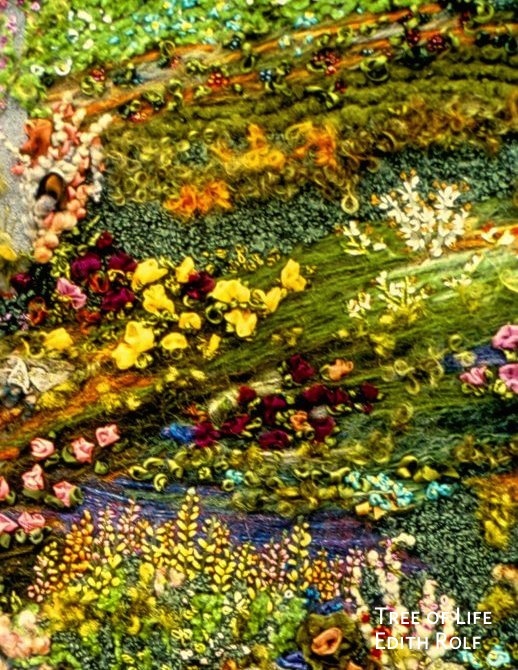 My piece, Roundabout(2007), is exhibited as part of the Focus on Fibre Arts Association’s retrospective. Roundabout’s experimental nature helped pave the road to the artwork I create today. 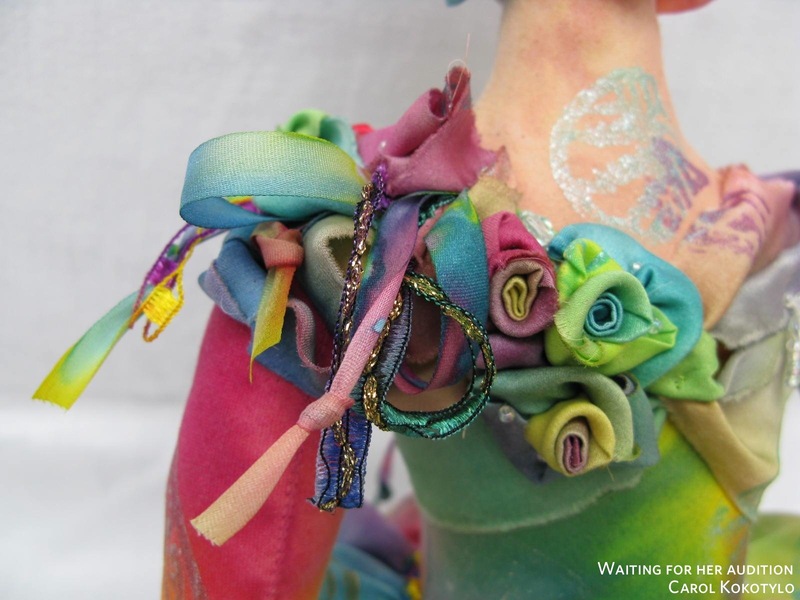 Participating in the Focus on Fibre Arts Association biennial was also my training ground to learn and experience the “call for entry” proposal process and show my work for the first time in a juried event. All three organizations offer important developmental experiences and provide gathering points that bring various guilds, fibre artists and artisans together through their programs, events and passion for fibre art. I believe there is great power and goodness in these “Western Threads” beyond the visual beauty so dynamically displayed in the exhibit. These threads connect us and build our sense of community enriching our lives, artwork and culture. Wherever my fibre art journey takes me, it’s comforting to know my grass roots were planted in this warm and fertile soil. If you happen to be in Edmonton between now and August 4, I encourage you to explore Western Threads for yourself. And if you feel inspired to try your hand, they have something going on for that too! 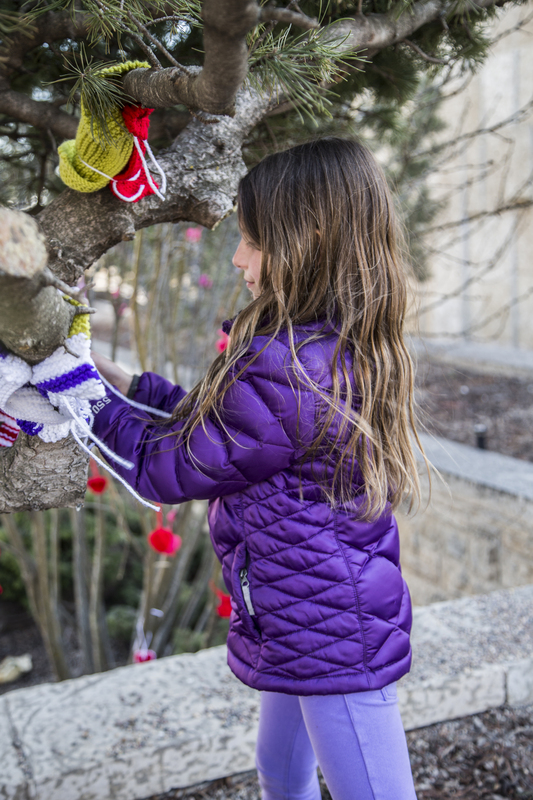 What is a yarn bombing?